How does a former employee bootstrap a profitable startup and quit his job? Joining me is Ruben Gamez, founder of proposal software company, Bidsketch. A lot of us in the startup space have been following Ruben and his story as he built up his business and grew customers. And we were all celebrating the day that he quit his job. Now that it’s been a little while, I want to find out about that experience. Ruben Gamez is the founder of Bidsketch, where website designers go to create customized, clean proposals in minutes. Andrew: All right. Before we get started, imagine you have an idea for a new product. Maybe it’s a mobile app for students. And you need feedback. Well you can ask your friends, but few of them are still students. So what do you do? That’s where this site comes in. AYTM is where you go to have surveys filled out by potential users. They’ll find the people to take the surveys for you. They’ll make sure that they are the right fit for you. So look, you come here, and you can specify the income that you are looking for, the gender of your potential customers. You can specify their careers; in this case I pick students. You can ask for a specific number of people to complete surveys for you. And then when you create the surveys, look at how many options you have. Video: You can ask them for feedback on photos of your potential product. You can ask open-ended questions, close-ended questions — lots of different things that you can do. Finally, you get a report just like this one. It’s beautiful, but it’s also actionable. Imagine showing this report — or something like it, your version — to potential investors, to potential partners, to employees, and making decisions based on something that’s useful and comes directly from your potential customers’ feedback. Go to aytm.com. Here, let me scroll up to the top. There it is, aytm.com. Next, do you want to know a secret for customer service that will actually wow your customers? Check out Assistly. With Assistly – let me pronounce this right, assist-ly. Not only with Assistly. Not only can your team respond to e-mail in an organized way, but it can field issues on Twitter, Facebook and other platforms. And Assistly — which I just pronounced properly this time — Assistly comes with a built-in help center, which means you’ll have searchable knowledge base, community Q&A discussions, contact forms, optional live chat, and so much more. Go to assistly.com. Finally, who is a lawyer that entrepreneurs like me and you trust? Well I have said this now — I think it’s been years since I have been saying this — I’ll say it again: Scott Edward Walker of Walker Corporate Law. I keep getting feedback from entrepreneurs who work with him, who are grateful to me for making the introduction. So I am going to keep making it. Scott Edward Walker of Walker Corporate Law is the entrepreneur’s lawyer. Check him out, and let’s get started. Everyone, it’s Andrew Warner. I’m the founder of Mixergy.com, home of the ambitious upstart. And I’m about to interview a good friend of mine. Big question for this interview is, how does a former employee bootstrap a profitable startup and quit his job? Joining me is Ruben Gamez. He is the founder of Bidsketch, where Web site designers can go to create customized, clean proposals in minutes. A lot of us in the startup space have been following his story as he built up his business, as he grew customers. And we were all celebrating the day that he quit his job. Now that it’s been a little while, I want to find out about that experience. Why don’t we talk about the day that you quit your job? Let’s start there first, Ruben. Do you remember the day when you quit, or maybe the day when you were – the day after you left? Ruben: The day that I quit? I remember that day, certainly. But it was kind of weird because I didn’t get that feeling — that great “Yes! Quit my job!” sort of feeling. Basically it took maybe a month or two before it actually finally sunk in for me. So I kind of almost felt like I was on vacation every day and that eventually I would go back to work. So it was a little bit strange. I was very stressed out over quitting my job, actually. Andrew: Stressed out over it? Andrew: What kind of stress did you have about quitting your job? Ruben: Well they were low on people. So they had promised really big clients, that they – we were going to deliver stuff. I was the senior manager. So it was just a really bad time for them for me to quit. So I felt kind of guilty about that. Andrew: And you stayed on a little bit longer than you ordinarily would — right? — than you might otherwise because of them? Was that the situation? Andrew: No. How much notice did you give? Ruben: I gave two weeks’ notice. Ruben: And – that was one of the things that I kept thinking about. I said, “OK, this is a really, really tough time for them. So maybe I should give a month,” you know. And I talked to a few people that had gone through that and actually talked to my friend Lee of Balsamiq Mockups. And – because he went through that. And he said, “No. Just, you know, give two weeks, give the option if they really need to, work something out,” but Hugh is so right; two weeks is good. Andrew: Why? Why was he right? What would have been different if you’d waited a month or if you gave him two month’s notice? Ruben: Because immediately after I gave notice…somebody…I was a manager, so being a manager, it probably would have been the same if I wasn’t, but immediately after I gave notice, a couple of days after that, things started to get a little bit weird. Like, in meetings, ‘Oh, he’s not’….no one said anything…but kind of like, ‘He’s not going to be here’. You know what I mean? Just…it was a weird vibe. Andrew: It was nine years that you worked there. Andrew: OK. And you said that it was stressful. What part? Ruben: Actually, just thinking through what I was going to say and just giving my notice. Andrew: Oh, that was it? So the stress wasn’t about, ‘Will I be able to make money? Will I be able to make Bidsketch work’? Andrew: No. I see you’re smiling like, of course, that’s not a problem. Ruben: No. Because I had already generated enough revenue to where I felt pretty good about it being successful. So early on, I was kind of tempted. I saw some traction and I thought, ‘Well, I could probably quit my job now because I know it’s growing and it’s going to continue to grow’. But I really wanted to wait until I had enough revenue to where I could support myself. So I waited until that point. That wasn’t the stressful part. Andrew: I’m going to come back to the idea, ‘It’s going to continue to grow’, because you expressed a confidence. I saw it in your eyes via Video Skype. You expressed a confidence that I think a lot of entrepreneurs don’t have when they take the step that you took. And I want to understand why you were that confident and what data you had that told you this thing is growing and it’s going to keep on going. Let’s talk numbers. How many paid subscribers do you have now on the site? Ruben: I have about 850 paid accounts on the site. Andrew: 850 paid accounts? I won’t give more numbers then to say, I’m looking at the standard numbers on your site, where the basic membership is 9 bucks a month; the business plan is 49 bucks a month. That gives people a sense of where you are. But let me ask you this, before we get into the story of how you got here; why are you willing to share so much about where you are now? Why are you telling us how many paid members you have? Why are you letting us infer how much revenue you have? Why are you being this open? Ruben: I used to not be that open about it. I mean, open about certain things, but, I started thinking about it lately. Back at the time I used to not have any competitors, right? So, I was worried that if I was open, people would say, ‘Well, there’s a lot of money to be made there so let’s all jump into that space’. Now I have a lot of competitors, so it doesn’t really…that part of it doesn’t matter. And, if I’m sort of concerned about just keeping this hidden, then I’m going to lose, right? So there are a lot of people who are already out there. It doesn’t matter. Not only that, but if it just helps the story a little bit, than I don’t mind giving out those numbers. Andrew: I see. How do you think it will help the story? Ruben: Just sort of give a realistic picture of how a lot of bootstrap….you know, smaller bootstrap companies do after a couple of years. Because that was one of the things that I had a lot of trouble finding information for. There’s a lot of information about funded startups and how much money they make, but how much does a person that is just doing it be himself…how much do they make after a while, right? After a couple of years. Conversion numbers, revenue, stuff like that, you can’t really find that easily. Andrew: Are you willing to share conversion numbers here? Andrew: OK. Are you willing to say…actually I know you are. You’re willing to say that last month you hit a milestone. What’s the milestone? Ruben: Last month was $10,000; a little bit over $10,000 for the month. Andrew: And is it still a one-man operation? Ruben: Yes. It’s just one. Andrew: Wow. And, does revenue grow month to month when you have a subscription-based model like yours? Andrew: What do you mean by sticks? First of all, have you had a down month at all since you launched the business? Ruben: I had, right after Christmas. December was not so good in new sign ups. Right after Christmas I think I made maybe $20 less than the previous month. Andrew: $20 less than the previous month, but except for that small dip, you don’t go down with a membership style model or [??] model. Every month is a little more than the last. Some months are significantly more, other months are less, show less growth, but it’s consistent. Ruben: Yeah. That’s mainly because I do have sustainable traffic. I do have traffic where I don’t have to do anything for it. Andrew: How do you get that? Actually, let’s come back to how you get traffic. I want to know the story more and then I want to dive into the details of it. How you get traffic consistently, I want to find out about. I also want to find out about, you mentioned that when you get a bump it sticks. I don’t know what that means, I want to understand that better, but let’s first hear the story of how you got here. I think that will help us get more questions answered. Where did the original idea come from? Ruben: I was working at the day job at the time and I was helping out a friend with a client meeting. He was freelancing for the first time and he was going to have a client meeting. We were talking about proposals. I was doing some research online and I came across this software, downloadable software that will let you create proposals. I thought it was a neat idea, but it was old school and it was not that great. I searched for a web based version of it, I couldn’t find anything. That’s when I started thinking maybe I should build something and at the time I was building another product actually, like a lot of the previous products I tried to build, I was getting kind of tired of it, I was getting bored. Basically I was looking for an excuse to build something else so, this gave me a good excuse to build something else. Andrew: Why are proposals so hard to build? Why can’t people just create, actually what does a proposal look like in the design world? Ruben: Well, a proposal in the design world, is the same as a proposal anywhere else. Andrew: It’s all text based? Ruben: Yeah. It’s all text based. Basically it’s, for a lot of people, it’s a big word document with several pages and the difference between — some people say the proposal is a fancy estimate, the difference between a proposal and an estimate is that proposals are created to persuade people and estimate is just to give a price. For a proposal you would have, you would start off by stating the problem that the client is trying to solve, your proposed solution, and then you would have other elements in their that match it personally. It might be several pages long. It’s all text based, usually some images and videos also. Andrew: I see. So the hard part is finding a way to persuade people and the reason that you’re site exists, is that you help designers convince prospects that they should do business with them. Ruben: Yeah, in a way, see part of the difficulty, some of the benefits, creating a proposal takes a really long time. It’s just knowing what to write. A lot of times is difficult and putting — when you actually start to have a lot of clients and start to have a lot of proposals, it gets difficult to manage the proposal process. Some of the main benefits that my customers get from using this software, is that they save a lot of time putting proposals together. That’s one of the main benefits and then also because the way the system is designed, you actually create reusable bits of text or sections of text that you can just drop into your proposals. Andrew: Bits of texts that you can, I see, so I don’t have to come up with the language myself, you’ve come up with it. I just need to point and click and it goes in. Ruben: Yeah. I did it as sample text. It wasn’t really meant to be used for the proposals, but a lot of times you use it for the proposals just because it is so difficult for a lot of people to come up with the right word. Andrew: OK. So I see now why it makes sense. I understand that you decided that you were going to get into this space what’s the first thing that you did? Ruben: The first thing that I did, back then I was reading marketing books so, I knew that I wanted generate traffic or I wanted to focus on marketing first. Previously when I tried to build a product, the first thing that I did was jump [??] into the code because my background was software and development. So this time around I took a different approach. I decided to put a blog and a one page landing page where I was asking for an email address. For the blog I basically used the Google keyword tool, are you familiar with that? Ruben: So I used that to do some keyword research, and find out what people were searching for. I found that people were searching for proposal software, it was a very competitive keyword, but there weren’t that many people searching for it. So I also found that people were searching for proposal templates, web design proposal templates, graphic design proposal templates, and that wasn’t very competitive. So I decided to write blogs that focused on those keywords. Andrew: Can you give me the keywords again? Ruben: Web design proposal templates, and graphic design proposal templates. Andrew: So you started out with a landing page, which will come back to later what that had on it, and a blog where you were writing about keywords that people were searching for around your topic. And the keyword search tool that you’re talking about is the one that Google makes available to adware buyers to enable them to buy keywords that are similar to the keywords that they know about. It helps them figure out which keywords people are searching for, true? Ruben: True, and it tells you how competitive a keyword is, and how many visitors you’re going to get from the keyword and stuff like that. So it wasn’t a lot of visitors that I would get from the keyword, but it was something right. I wasn’t trying to sell to Google or anything like that with my product. Andrew: What was on the landing page? Ruben: It was very simple, it was something about what it was, it was a headline that basically said, this is proposal software, and then like four or five benefits. Andrew: And you tried to get people’s to give you their email address so you could sell it to them when it’s available. Ruben: And then underneath that there was a text box where they could enter their email address, and that’s it. Andrew: How did the traffic come in, strong, week? Ruben: It was kind of weak initially. It was surprising because it didn’t take that long to rank the keywords. Because it wasn’t that competitive, within a few days I started for a couple of them, rank on the first page, so that was neat. And then started to get some traffic [??]. But I was excited to get any traffic, and I think this was the first time I had tried to do anything like that. So just the thought of putting out some content out some content out there, and ranking on Google for it, and getting visitors off of it was pretty neat for me. Andrew: Gotcha. And were you trying to get people from the blog to give you their email address so you could offer the product when it launched? Ruben: Yes, basically what I was doing, I had the blog up, and I was routing, I had a link or a banner something like that, that was routing that traffic or trying to route that traffic over to my landing page. Andrew: So you weren’t collecting email within the blog posts? Ruben: No, I probably could’ve tried to do that but no, I wasn’t doing that. Andrew: So what was the next step, were you building the product while you were writing the articles? Ruben: No, it was actually just focusing on content creation and generating traffic the first few weeks. Then soon I decided that I would create an app, a free app called Estimate-Helper. And the whole purpose of this was to just generate traffic, some more traffic leads. And it was such a bad attempt. Basically the concept was, people would go there, designers would go there and it would help them create an estimate. So I had predetermined all the different fees and stuff that they might charge for so the only thing I asked them for was their hourly rate and how many hours they planned to spend on the project. So I launched that and cold emailed a few blogs, and nobody picked it up. There was one blog that did, Bob Walsh but that wasn’t focused on designers. That wasn’t working very much. I did post with [??] and a couple of other forums trying to get some traffic there. I got a little bit of traffic when I first launched, then it just slowly died down. Andrew: Was this on the home page or was this within the blog? Ruben: This was, I think a sub domain. I think on the blog, I did a link there to that and on my landing page. I also had a link to the actual — the problem was that I wasn’t, what I thought was, I’ll put this up, this is going to be useful for people. I didn’t ask anybody. I just assumed that it would be useful. Then I also didn’t ask for a [??]. I didn’t ask them to register or anything. I wasn’t capturing anything out of it, but I assumed that because it’s so easy, and free, and anybody can use it that people would love it and a bunch of people would start using it [??]. Andrew: Then those people would eventually become customers, you were thinking. Ruben: Right. Well, then they would see the link to my landing page and go there and . . .
Andrew: OK. I see. That makes sense. If you had to do it again, you’d capture email addresses and that way you could, when the software launches, you can email those people and say, ‘Hey I’ve got this great product similar to what you tried for free, give it a shot.’ At what point did you start building the product? Ruben: So, after that, took maybe, the estimate helper thing took maybe a month or a month-and-a-half so, after that I soon started to build the product. That’s when I started and I decided to wait until . . .
Andrew: Why did you decide to wait until after you were done with the month-and-a-half coding, of the estimate builder, before you built the product itself? Ruben: Because I was working full time, there’s only so much time. Andrew: Why did you prioritize that, the estimate helper? Ruben: The estimate helper? Because I wanted to focus on generating traffic. For me it was all about generating traffic first and then starting to build. Andrew: Got it. Because you didn’t want to launch a product on day one and have no body to show up. You wanted to first build up your customer base or potential customer base so that when you launched you could start getting useful feedback and get people coming in and buying. Andrew: Got it. OK. All right. Makes sense. It’s time for you to launch the product, how long does it take you to get the first version out? Ruben: I didn’t launch the first version. I went for a couple of months and started to sort of have doubts and it was going very slow. Around that time I met a good friend of mine Rob [Wellen], who launching the Micro Premier Academy and he put together [?? ], which you spoke at. Now after talking to him through email and just seeing what he was doing, he was picking the four hour work week approach of out sourcing and all that stuff and applying it to a bunch of businesses at a time. I saw what he was doing and I said, ‘Wow, this is awesome.’ I was having trouble or it was very slow going for me at the time, because I was working full time, and I was doing all the content creation stuff. I was focusing on my blog. I was doing the design. I was doing the development. I was doing all these things and it was just slow, taking forever because I was trying to do the right thing, but it’s hard when you only have a few hours of the day to do this. Once I saw him do that I said, ‘You know what? I like that approach. I think I can do that.’ I decided to scrap all the code that I had written at that point and then start over again. I started over and the reason why I did that was because I was working in the language that was difficult to find people to out source. Andrew: Wow, OK. That’s encouraging for non-developers in the audience to hear. Andrew: It probably would have been better if you started outsourcing. I want to understand why. To me, as a non-coder myself, I always imagine that people who can code have super powers. You can sit down and you can say, I want to see this on the page, but I don’t have to explain to other people how to do it. I don’t have to deal with the headaches of employees, and their time, and all the other issues that come with it. I can just sit there and do it myself, and if it doesn’t work out right, I can scrap it and come back the next day with a better version and so on. Why didn’t that happen for you? Someone who’s such a good developer, who’s so experienced? Ruben: Well, I was doing it, but it was not right. I wanted to launch a product faster and one of the problems I had with previous attempts, was that it was taking so long that I got bored and started working on something else. Seeing that this time too I was focusing on marketing I said, okay well, what are the things that I can hire people for? I can hire somebody to do development. I can hire somebody to do design, but I probably can’t hire somebody to do the marketing for me the way that I want to do it. What do I want to focus on? That’s why I did the outsource the [??]. Andrew: What’s the language that you switched too? Andrew: How did you find the developer? Ruben: Well, for a developer I just used Google. Andrew: You used Google to find a developer? Ruben: Yeah. So I did a search for off shore Ruby on Rails development. I found several firms that would do it. Now the way that they typically work would be that you tell them what your project is and they give you an estimate, then they go back and build it and all that stuff. Being that I did have a development background, I told them that I want you guys to design with me, the developer, but I want to work with that developer one-on-one. Basically, in the mornings, I went to log in and will have a Skype chat, and I’ll see what’s he’s done, and I will work with him one-on-one. I actually interviewed the developers also. It was mostly developers from India and I settled on a firm and hired and worked with the developer on it. Andrew: With one person, one-on-one, how many hours a day? Ruben: It was eight hours a day. Andrew: Eight hours and so that developer worked your hours? Ruben: No, no, he didn’t. The pay was pretty low. I didn’t have a lot of money. It’s not like I could afford a lot. It was something like $7 an hour or $8 an hour for the developer. I did go through three developers. It wasn’t easy finding a developer that was descent, but I eventually did. Andrew: When you say that you wanted to log in and be able to work with the guy, what hours was he, what part of the country are you in? You’re in the east coast right? Ruben: Well, I’m in the west coast now, in Washington, but yeah, I was in Florida at the time. I think it was very late at night that we would just have Skype chats and stuff. Andrew: How did that work out with your work? Was it more convenient because of your work? Ruben: What do you mean? Andrew: Because you guys could be at work during the day and then when you got home your out-sourcer was working and you could chat with him. Ruben: Yeah, for a little, but then I had to go to sleep. I didn’t really get a lot of time to chat with him. It was literally just toward the end and the beginning of the stage, to check that progress and stuff. Most of our communication took place through email or video screen chats that I created for him. Andrew: Interesting. How long did it take for the first version, for him to finish the first version? Ruben: He didn’t finish the first version because I didn’t have that much money. He did most of it. I built up the architecture myself and left it up to him to fill in the gaps. I felt like I needed to do the important stuff, but then there was a lot of work to do after that. He did a lot of the programming and then I sort of ran out of money. I had to finish up the last month. It was about four months from start to finish. Andrew: Including your work by yourself., If you could afford to pay him to do the whole thing, what would it of cost? Andrew: OK. Wow, look at how far you’ve come by the way, unreal right? Sorry? Ruben: I said, half a month’s revenue. Andrew: Yes. It’s nice, isn’t it? It’s a good feeling. Ruben: Yes. It’s kind of funny, thinking about it, back then, a couple of years ago. Andrew: Yes, what year did you launch? How far back? Ruben: I launched 2009; October in 2009. Andrew: So, we’re almost in October 2011; that’s less than 2 years, this is how far you’ve come. Andrew: Unreal. You were saying screen casts. I’ve been hearing a lot of this, that people are working with others, not via Video Skype in real time, but with screen casts. I’ve been trying it myself; it’s worked really well. How did you do it? Ruben: I don’t remember exactly how it started, but initially, when I started working with the outsourcer…see, I was a manager at the company, right? The tech manager and I was used to writing very lengthy requirements documents. Very detailed requirements documents. So, that’s what I did for the outsourcer, initially. I used Wiki, and just wrote out these requirements. There was a lot of detail, a lot of information and I found out that nobody read that. So, I put all this time into it and they wouldn’t….it was just obvious that they weren’t reading it. But then I started to do these short screen casts on stuff that was just better, right, to show video? And they loved that. So I said, ‘Well, screw it’. They’re watching the videos, right? But they’re not reading my text, so why am I putting all this time into it? I just started to use the videos after that, with text. Andrew: What did you show in the videos? Ruben: By that time, I had also outsourced the design. I’d gotten back the design and I had converted the design into HTML. I didn’t do it; I got another company to do that part, too. I was walking through the HTML mock-ups, while just [?? ], when I click here, this is supposed to bring up this other thing, and sort of just walking through the flow. That just really helped the program. Andrew: That’s so much easier than creating design spec documents. Where you just say, ‘Here’s the site. When you click this button, I want this thing to happen; when you click that link, I want this other thing to happen. Now, let’s go to what happens after the link and explore that’. I see. Any confusion that comes up from that? Because people have to pay attention throughout the video; they have to rewind and catch certain spots. They might miss certain steps. Ruben: A little bit, but not too much. It was nothing like when it was just entirely text and there was emails back and forth and because of the time difference, you’d have to wait a day sometimes for responses. So the video was great. Andrew: Wow. I’ve been hearing more and more about that; it’s encouraging to see that that works because it is easier to do than to sit down and spec-out everything and to describe it with words. What about what went into the first version? How did you know what to put in and what to leave out of it? Ruben: I didn’t get very great feedback. I hardly got any feedback from anybody when I built my first version. So I was mainly going off of a few things. What a competitor was doing, right? What they were doing in their non-web based version. And then I sat down and I read a couple of books on creating proposals; I wanted to just know that space better. And I also gave myself a couple of scenarios to where I said, OK. Sit down and really…it’s tough because you can cheat, right? You don’t really have to do these things that you’re…this homework that you’re giving yourself. But I made myself write down two different types of proposals. They were long and just sort of experience the pain points. So, that helped. That helped for me to figure out what I should build. Andrew: What do you mean? Can you describe what that looked like? The scenarios that you would make up? What would they be? Ruben: Sure. Basically, one of them…there were two different kinds that I did. One of them was just an RFP that I took online. Sometimes companies will put out a request for a proposal, right? They’ll ask a bunch of questions and they’ll say, ‘OK. In your proposal, we want you to answer all these questions’. So I used that as…I said, ‘OK. Well, I’m going to answer this RFP as if I’m actually…if I want this job and I need it’. So that was one scenario. Then the other was just …I did something like…the client was…I sort of defined the client. I said, ‘There’s this client that has this many employees and these are the problems they’re experiencing, this is what they want and the goal of the proposal is to not only give them a redesign of their website, but try to up-sell them on [??] or something like that. Andrew: I see. How did what you create match up to what the real world wanted? Once you launched what did you learn? Ruben: When I hit beta, because I had a small team of beta testers helping me beta-test that. The feedback was pretty good. I didn’t have a ton of features, so there wasn’t a lot where I could go wrong, so most of the feedback was good. There was some confusion about the wording I was using, but nothing major. I didn’t have a lot of features in there so that helped. Andrew: You said you had beta testers, how did you get those? Ruben: Through my email list. By the time I hit beta I had somewhere around 250 emails, a little bit more than that. I wasn’t getting a lot of emails, but to me it felt like it at the time. One of the problems I was worried about this too is that by the time I was ready for beta I decided that I wanted to have a small beta testing group. All I wanted was 5 beta testers. The problem was, when I was collecting these emails, I had a link, right after they verified I’d send them a welcome email and it said, click here if you want to be part of the beta testing group. I had maybe fifty people click on that link that wanted to be part of the beta testing group and my problem was that now I only wanted five. So I was kind of stressing out about that. Andrew: You only wanted five? Andrew: So you were stressed that you had ten times as many people potentially testing your product? Ruben: Right. Well I promised them. In my mind I had told them they could beta test it, so now I have a problem. Andrew: Why is that a problem by the way to have fifty people test your product? Isn’t that better than five? Ruben: No. Well it could be, but I didn’t think it was. Ruben: My approach was that I wanted to have a very small group of people that I could personally email each and every one of them and I could personally direct the testing process. I could say, OK we have two weeks to beta test this, so by this Friday I would like you guys to test these things. Create a proposal, go through these scenarios and then just send me an email and if they didn’t I could email them and check in, how’s it going, you know? With a group of fifty it would be much more difficult to do that. Andrew: I see. So what did you end up doing with fifty people? Ruben: After talking it over with Rob also, he helped me with that, I decided to actually just email them and let them know that I had way too many people that were interested, so I could only accept a few and the first few that would reply to the email would get to beta test. That had a nice side effect that it kind of made it seem as though there was some interest there right? Andrew: And they were lucky now to give you feedback because there were so many people who wanted it and they got to do that. Ruben: Right. It also gave me the people that were most interested. I also emailed my entire list of three hundred instead of just those fifty just so that everybody can see that there’s some interest there also. Andrew: Do you remember one thing that the beta testers pointed out that was a problem that was especially startling or especially interesting and useful? Ruben: Other than bugs, not really. There was some hinting. There was this one feature that I put in there that I thought was so great that I didn’t really need to have in there. Basically, when you hit a text field it would automatically pop up like a little help thing that would basically help you write a proposal. In this section, these are the types of things kind of like helper text. I already had sample text in there, so why did I need that little pop-up? A couple of people early on told me that it was annoying and got in their way so I added a little thing to where they could turn it off. I probably should’ve eliminated it, but I didn’t. I actually, based off of what I heard on some Mixergy interviews, I don’t even remember who it was, saying that they practice removing features and see if anybody complains, right? Actually, any time I had to do anything that feature was such a pain that I said, ‘I wonder if anybody uses this.’ I just removed it and nobody complained about it. I just left it off. Andrew: …get rid of it. Who cares? Ruben: Yeah. Yeah. I remember when nobody complained, and I knew that I could leave it off, I felt so great. It’s a nice feeling. Andrew: All right. I understand now how the product came about, but I’m curious now about the marketing. You launch, it’s time for you to go ask the five people who are in the beta program and look for customers, what do you do to get your first customers? Ruben: My approach was to do a private launch. I just launched to my email list. I gave them 4-5 days to sign up before it was opened to the general public. Then I had a public launch. That was great because there was a time pressure for them to sign up and coupled with that time pressure, I also gave them a discount. I said OK. Everyone in this list is going to get this for $9/month. I don’t remember if I gave them the price in the email or not, but I did tell them that they were going to get a discount that nobody else was going to get, but that the price was going to move up once it was available to the general public? That worked out pretty well actually. I had a free plan and paid plan, and I had more people sign up for the paid plan than the free plan. Andrew: …they were going to lose the opportunity to get the discount. So how many customers did you get the day you launched? Ruben: Well, the day I launched the private launch I got maybe seven people paid. I remember I was at the day job and I was at a meeting, and I had scheduled it in [??] and I had to go to this meeting with the executives so it was really stuffy. I was just sitting there, with the phone in my pocket, just wanting to pull it out and look to see if anybody signed up. I was also really worried that nobody would sign up. That I’d send my email out and nobody would even sign up for the free plan, right? I was kind of concerned with that. I came out of the meeting and looked, and the first thing I saw was three sales right away. Ruben: All right. That was a pretty good feeling. The interesting thing about giving them a week or however much I gave them, three or four days, was that I also sent them an email right before it was over, right? I had a lot of people sign up. Most people signed up on the very first day and then on the last day. Actually, I had more people sign up on the last day than on the first day. Andrew: That’s interesting too. To say, ‘I’m going to give people a discount’, that creates a sense of urgency. To say, ‘it’s going to end in a few days’ and then to follow up gives you a second opportunity to bring in new members. How many people did you get from the start of the launch to the end of the launch? Ruben: It was like 21 paid accounts. Andrew: 21 paid accounts when you launched. To have that many, how does that feel? Ruben: Great. Great. I was floored because I thought there was a good chance that nobody would sign up, right? Andrew: Did you have an alert go off on your phone to tell you when there was a new order? Or anything just pop up? Andrew: Tell me about that. What did you do? Ruben: It’s just email, right? I had it in my iPhone and every sale that would come in I would have it go to my phone and then I’d constantly be checking at work to see if anybody would sign up. One thing that I will say that I would do differently than I did back then, is probably take the day off of work. Then I’d use something like SnapEngage to talk to people during those first few days. That’s the only thing that I would probably change. Andrew: …when people are on the site, that way you can get their feedback, see why they’re interested and not… I see cool. All right, so that’s the pre-launch. So what happened with the launch, then? Ruben: So then, so then came the public launch, right? And, that, so that was, after the list, right. So that was OK, but it was kind of underwhelming after the… after launching to email. Email was much better. I actually had a blogger from About.com blog about the launch of Bidsketch, so that was good. I emailed maybe 30 different bloggers to try and get them to blog about the launch and nobody blogged about it except for this person from About.com, and I think the difference was that the other people were cold emails, and for her, I had actually commented on her blog, sent emails beforehand. So we talked through email a little bit beforehand and, you know, she was open to blogging with it. Andrew: I see. If you had to go back and re-do that launch, what you had done differently? Ruben: I would have built relationships with bloggers before, you know, I wouldn’t cold-email them. Andrew: I see. So maybe target 7 bloggers who fit your audience, start a conversation with them on the comments of their blogs, email them. Ruben: Instead of waiting until the day before or something like that. I would have done that differently, and then probably, I did get a decent amount of traffic that first day when I went public. I would probably do the same thing, use chat, live chat to just talk to people and stuff. I got a couple sign-ups, not that many, so for the first – after that, I bumped up my price to – when I went public, so I went from $9 to $14, and then I introduced another plan at $9 so I had 3 plans at that point. Three, 9 and then 14, right? And the next few weeks were not that great. I wasn’t getting a lot of sign-ups, which was a bit discouraging because, you know, I thought with my private launch that I was off to a good start, and it would continue like that, but it didn’t. Andrew: Well, first of all, you did the launch and the pre-launch – you did the pre-launch especially well. You set yourself up with the right keywords, you started blogging to get attention, you built up a list of potential customers, you hit them up right. This is your first business. Andrew: Actually, I guess you launched something called Ninthsign.com before, but this is your first web app, right? Andrew: How do you know this stuff. Where did you learn to do all this stuff right? Ruben: A lot of it was, a lot of it was through my friend, Rob, right? I was just like, the whole launch strategy I ripped off of what he was doing. Andrew: I see. He kept telling you, “This is how I launch” and you copied his processes. Andrew: Can you give his name again? Actually, what’s a good website for people to read about Rob’s stuff, because Rob is fantastic. Andrew: OK. He also has – he does so much. Let’s go – lets just leave that out there, but he also has a great podcast that I think people should listen to, and of course he did a great conference that he invited both of us to. Ruben: He wrote a really good book, too. Andrew: A really good book, which I have on audio book somewhere here. He’s one of the guys who actually has substance to what he’s teaching. He’s not just out there trying to pat his own ego, he’s got real content and real substance. All right, so pre-launch does well. Regular launch, not so well. Time to build up the customer base. What do you do after that? Ruben: Well, in the first few weeks after I launched, I was feeling pretty down because I wasn’t getting very many sign-ups, so around that time I was getting one or two a week, you know. It was, performance was pretty poor, so I was A-B testing a bunch of stuff, I was – I tried removing the plan, maybe it was the introduction of the third plan that caused the low amount of sign-ups. No matter what I did, I was just having trouble converting people. Andrew: So, you’re funnel guy, you understand the funnel process. I’ve seen your funnel before in an email, you shared it with me, what you’re telling me is getting people to the site wasn’t the big problem, it’s getting them to convert that was the problem. Was it specifically convert, after they saw you’re landing page, they then moved on to your to the pricing page, and then they were supposed to buy. It was that pricing page where you weren’t getting enough conversions? Ruben: Actually I had a full marketing site, at that point, but the people, when they were looking at the pricing page, weren’t going beyond. I wasn’t getting a ton of people going beyond that actually, now that I’m thinking about it what I was getting a lot of was a — and it totally changed the dynamic, once I didn’t have that time pressure and the discount, was that I was getting a lot of people signing up for the free plan. Nobody was going for the paid plan. To me it’s almost like nobody’s signing up right, if nobody’s going for the paid plan. I wasn’t able to upgrade those free users, nobody was upgrading. Getting feed back from one was very difficult. I would send out [??] emails at first. Then I tried crafting emails personally, making each one different or whatever, and I couldn’t get feedback. After about a month, after testing all sorts of different things, I got desperate and I said, let me just kill that, everyone’s going to that free plan. Let me just get rid of it and let’s see what happens. I didn’t do anything on the [app]. The only thing I did was on the marketing site, in the grid, I just hid that free plan and that week I got 10 times the amount of paid plan sign ups than normal, just from doing that. Andrew: So, getting rid of the free, gets 10 times more customers? I was going to ask you why now there is no free plan anywhere on Bidsketch.com/plans and now I understand why. Ruben: Yeah. After getting rid of that free just totally changed the business, made it so that I got, there were two really great benefits from that; everybody was signing up for the paid plan because that was the only thing that I had and not just that,. I was asking for credit card information up front I still ask for credit card information up front. Every once in awhile I get somebody complaining about that. The great thing about that is that you have to go in there — and I didn’t plan this out or anything like that, it just so happened that it turned out to be a good thing because if you want to cancel your trial, you get [??] free for 30 days, but if you want to cancel then you have to go log in there and actually click on cancel. This was an idea that I got from [?? ], was add a comment box in there and make them give you a reason why they’re cancelling. That’s been amazing. That’s been really great. Andrew: What are some of the things that you’ve learned from that? Andrew: What you want to do is quickly get them to try it out. Not have them to sign up, and mean to try it out later, and never get to it, but if you can get them to try it out quickly, then you’ve eliminated one of the reasons why they cancel. All right, what else did you do to bring more customers in? Ruben: Then actually I kept emailing people [??] blogs and I got a couple of them to write about it. One of the nice things about focusing on the design space is, once you actually get a couple of big design blogs to write about you then the others start to take notice and write about you. There’s this nice effect of these design blogs starting to write about me, giving me more traffic, and then I just started on to A/B test and refined that a little bit. I didn’t do too much work there. Oh, there’s another thing, I had sort of skipped over that whole part, but while I was in beta, I sort of acquired a competitor. I bought this competitor on Flippa. Flippa’s a site where you buy web apps and websites that people will want to sell. When I was in beta, one of my beta testers sent me an email, at this time I didn’t have any competitors or I thought I didn’t have any competitors, he sent me an email saying, ‘Hey, have you seen these guys?’ I clicked on the link and I was sore because it was a competitor that was focusing not just on proposal software, but on my niche on proposal software for designers. Not just that, but their design was just really nice. There design was so much better than my design. I did some research and they had a write up by 37 Signals and a few other people and I thought, okay, I’m in trouble, this is all before I launch. Then a couple of weeks later, while I was still in beta, I stumbled upon their site on Flippa. I emailed the guy and managed to buy them actually, before I launched. Then at that point, it was great because I took their design, that was much better than mine, and then integrated it into my site, and then funneled their traffic into my site. That was a nice help too. Andrew: So, the Bidsketch design that I see right now, is not the one that you paid for earlier and had the design, the [??] work on. No. This is what you acquired. The name Bidsketch was your name though? Andrew: You just rerouted their traffic and took their design. Andrew: How much did you pay for the site? Ruben: Can’t really talk about that. Andrew: We’re talking about hundreds of dollars, not thousands, right? Ruben: For the site? No, thousands. Andrew: Oh, it’s thousands, but you were a guy who couldn’t afford $4,000 for software development, how did you have thousands to buy their site? Ruben: I didn’t have [??] to buy their site. Initially, what I told them I could afford, because I couldn’t afford much, wasn’t enough. Then after awhile, I’m actually good friends with Ryan, he’s the designer who — there was three guys who came up with that product, after awhile we just started communicating and he liked where I was going. I think they felt better about selling it to me, because it’s also their reputation on the line, like what happens with a product after it’s sold, Ryan’s [??] the design space and all that stuff. He felt better about what I was going to do about it. I think I was able to work something out that was better, I actually had to borrow a couple thousand dollars from my wife to buy the product. Andrew: How long did it take to pay off? Ruben: To pay off? To my wife? Ruben: Maybe a couple of months. Ruben: No. I never really calculated it out because I got so many benefits from buying it, that it was great. There wasn’t a ton of traffic, but there was some good traffic. The important part was that it was a [PR] for in Google. It was high page rank. Google felt that was important, even though it was a pretty new site, it was out for a month, but it had nice links from 37 Signals and stuff like that so it helped. All of a sudden, I got the benefit of this stuff and then when you have a higher page rank site, also makes it so that you rank higher towards the terms that you’re focusing on. All those articles that I had written back then, focusing on how to write a proposal design, web proposal, and all that stuff, all of a sudden I got a bump up. Andrew: How do you make sure to keep all the Google juice when you transfer the traffic to your site? Did you redirect all the traffic? Ruben: Yeah. For the marketing site, I redirected as long as you do a 301 redirect, which is a permanent redirect than Google’s. I think I went down to a PR3. I think you lose a little bit when you do that, but then I also got additional links on my own through reviews and all that stuff, so I should be back to a PR4. Andrew: What else did you do for marketing that helped grow your customer base? Ruben: Removing the free plan was the biggest thing. Ruben: Definitely. After that, as far as getting traffic, integrations were huge. So integrating with FreshBooks, right? They have an add-ons page and all of that stuff. What I did was I integrating so that you can automatically convert a proposal into an invoice, then you can import all your FreshBooks contacts. That was really huge because they emailed their entire user base and put in their newsletter Bid Sketches and new integration, and they put a link out there. I remember I was at a conference when they sent out their email. I didn’t even know they were going to do this. I was still getting emails for resale, and I looked at my phone and within an hour I had maybe 30 sales. I was like, ‘what the hell? Where are all these people coming from? Holy crap.’ Within two days I had over a month’s worth of sales. Even to this day it was great because I’m on the add-ons page for FreshBooks and I get traffic from that. It’s not a lot a lot of traffic, but it is such high converting traffic. It’s great. Andrew: How long did it take you to build that integration? Andrew: To make it easy to take the contacts of people who have a high rise and move them to Bid Sketch where you can send proposals to those contacts? Ruben: Right. High rise is a CRM, right? For my integrations I like to do more than just import contacts. Other people do that, but I think I can do more. I take a high rise deal, and then I convert it into a proposal. I put the deal name and all the information and all that stuff in. They didn’t email out their newsletter people, so it wasn’t as nice as FreshBooks, but they did put out the blog post and they put a tweet out. I emailed 37 signals, Jason Fried responded like, ‘hey this is great.’ That was pretty cool. One of the things that I do with all the integrations, I’ve also integrated with RightSignature, is that I create a specific landing page for each integration. It’s a nice looking landing page and I create a video for every integration. Ruben: Right. So it helps with conversions, but it also helps companies write about it. Like, Highrise saying, ‘OK well, they actually went to the effort of creating this nice video and putting out a custom page for this integration.’ It kind of helps them talk about it or tweet about it or something like that. Andrew: I’ve heard that integration is huge for getting customers and credibility, too. How about one other thing. You told us about free, you told us about the pre-launch, you told us about integration, what’s one other thing that helped you get a lot of customers? Ruben: The day of, the day after, for the next couple weeks. It was actually pretty nice. Andrew: …and you were on there with a big discount on Bid Sketch, you’re saying that people who got that email said, ‘I’m not going to go to Appsumo [SP] and buy the deal, I’m going to go to Bidsketch and get the exact same thing, essentially at full price, instead of paying a discount price. Ruben: Yes, well, differently. Because what I offered was a lifetime account , a basic account, lifetime basic account for 75 bucks, right? So I think people said, ‘Well, 75 bucks is a lot. I could just sign up for a basic for 9 bucks’. Andrew: What kind of product would you email about? Ruben: I just did a recent one called ‘MySEOTool [??]. And it’s a pretty niche product, but basically it’s a tool that lets designers manage the SEO effort for their clients. So I said, ‘OK. A lot of my designers do SEO work and I think they would like this. Andrew: So, you email your list, he emails his list, about each other’s products. One of you is going to have a bigger list of customers than the other. How do you even that out? Andrew: You just accept it. Ruben: Yes. In this case, his list was bigger than mine. I did say, ‘My list is only this many people; yours is bigger, so are you okay with that?’ He said, ‘Yes, sure. It’s not a problem’. So I’ve done that a couple of times. I’ve also contacted…I can’t remember…they do e-books for freelancers and designers. It’s part of the Invocco [??] network of sites. Ruben: So, I contacted him and said that I would offer a deal. Sometimes I just do deals right…and this was a little bit different, because he didn’t email anybody, but he offered to promote any….I said I might write an e-book on proposals software and he said, ‘Well, I’ll help you promote it to the inbox or network of sites or something like that if you do that’. So sometimes I just approach people for…almost to build relationships and maybe in the future do something else. Andrew: You said earlier that when you get bumps from campaigns like this, the bump sticks. If you work…what was it, MySEOTool.com, you mentioned earlier? Andrew: If you work with him and he emails his list, I could see that you end up with customers the day of, maybe for the next few days afterwards and that’s good business for you, but how does that bump stick? What do you mean by that? Ruben: It means that, let’s say I get a hundred people that…over the next week or something like that…or 50 people that sign up. I have a 14 day trial right now, so about 60% of those will convert into paying customers. They stay around for a little over a year. So that means that even though it’s not going to happen again, that revenue that I just gained, from that one-time effort, is going to be there for over a year. Andrew: Gotcha! I see. If you were selling a one-time product you’d get the bump today, but you wouldn’t keep it next month and the month after that you’d have to go out and hunt for new customers again. Andrew: I see. Yes, that’s one of the benefits of being in a SaaS-based model, where once you get the customer, you keep them. What do you do for retention? Ruben: For retention, one of the best things is just, still to this day, is that comment box, right? To figure out why people are leaving. And then I think customer support and talking to customers regularly is a really great way to keep customers around. Because everything that I send out, even when I’m doing support, it comes from me. So I don’t try to pretend to be a big company or anything like that. I’m very open, I’m just one guy; I’m doing this. I do contract out help. But I think they seem to like that and it just helps keep customers loyal. Andrew: Let’s talk now about confidence that you expressed earlier. You didn’t have doubts when you launched. Most people who I talk to who, who leave their jobs, tell me, it was scary. I knew I was doing well today, but what if tomorrow I didn’t do so well. What happens if next month the whole thing goes down? What if I get no customers for a year? What if I miscalculated my growth and it doesn’t end up being where it’s supposed to be? You didn’t feel any of that, why not? Andrew: You didn’t? So how could you still be confident despite that? Ruben: Somebody on my job kept telling me why don’t you just stay at the job and do this on the side? It’s extra revenue, it’s nice, and then you don’t have to worry about it, it’s kind of risky. To me the whole purpose of doing this wasn’t about the money. It’s about the freedom, so that’s why I didn’t want to have the job. I also felt comfortable leaving the job because even if it might stop growing and something can happen and I’ll lose revenue and then I’ll need to figure it out. Basically I was confident in my ability to figure something out. It wasn’t that it’s going to grow and always be there, but that I could probably figure something out if things go wrong. Andrew: Funnels. I know you’re big on those. We’ve gone way over time here, but let’s spend a few more minutes here because I can’t let you go. This is really useful information. You’ve shown me your funnels in the past. I know you think about the sales process more than other developers do. What did you learn about conversions that you didn’t know a year ago? Ruben: What did I learn about conversions? Andrew: I meant sales funnel. I keep saying funnels and I assume everyone knows what I’m talking about. Sales funnel where you end up with a bunch of leads, they go down to prospects and a few of them become customers. Ruben: Yeah, one of the things that I did early on was basically look at the weak points in my funnel and see where people are canceling. I used KISSmetrics to do this. One of the things I found out early on in the example was that right now I convert 60 percent of trials to paid accounts so at the time I was converting maybe 50 percent of trials to paid accounts and I’ve slowly increased that. One of the things early on that I did was I saw that people were signing up. They were creating an account, but weren’t creating a proposal. The people that didn’t create a proposal canceled way more than the people that did. That means they didn’t activate. They didn’t do anything to really test out or use the software. What I did was basically change my URI, my blank slate to where when you first create an account I took away all the distractions and almost threw them into creating a proposal. I just made it very easy to get started and create a proposal and that gave me a nice increase in conversions from trial to paid. Those are more about converting trials to paid. For converting traffic to sign up I did some maybe testing with my plans and my pricing table I listed a bunch of features. Initially I had like maybe 5 or 6 features, I had my pricing plans. I was converting somewhere around 5 or 6 percent of the people that viewed that page to signing up to a paid plan. So I said I need to list out more features because that will look more impressive. Not only am I showing the differences between the plans, but then I’m showing that there are a lot of features in this product. My A&B tested that and I did so poorly. Adding a whole bunch of features and showing more features for my plans did worse. Andrew: That’s surprising. I see your pricing page right now. It’s bidsketch.com/plans and under each one of these plans you have, use your domain, yes, yes, yes for all three, export PDF, yes, yes, yes for all three, templates and themes, etc. So you’re saying adding more of those under each plan reduced customers, reduced conversions. Ruben: Which you wouldn’t think right? You would think that adding more features or showing that your product does more would actually help, but it doesn’t. Andrew: Including the conversation you and I had before the interview started, you’ve now spent at least a half hour with us, right. Especially since there was some back and forth beforehand, we wanted to find more information about you because we couldn’t find enough online to research this interview. Why? Why would you spend all this time with us? I hardly have any designers in the audience. I hardly have any potential customers for you. Why would you do all this? Ruben: Well, first, because I’m a huge Mixergy fan, right? So I’ve been watching you for a long time and, yeah, this is a huge honor, right? So that’s first. And, secondly, because when I started out, I had a lot of help from people. So it’s kind of nice every once in a while to get an email from somebody now a days asking for advice on something to where I can actually, you know, maybe give a helpful tip. So that’s part of the reason, you know? If you noticed, Rob, throughout my story, I sort of mentioned several people, right, like Bob Walley[SP], Hiten Shah, Noah Kagan (he’s helped out a lot too). And you know, it’s just-, I just felt like I’ve had a lot of help so it would be nice to help others. Andrew: I’d like to take a couple minutes and talk to you about that. How did you get these people to help you? Noah Kagan for example. I know that people email him all the time asking him for help but he doesn’t respond to everyone. He’s not in the business of helping people the way Rob is. How do you get him? How do you get Hiten Shah who’s always being hit up for help? How do you get Rob even to help you out? Ruben: Well, I mean, first of all, just ask, right? First of all just send out an email. The second way is something I’ve learned from both Noah and Mixergy is what you put into the emails matters, right? So making them short, you know? And I had a trouble with that early on. My emails were a little bit too long. So once I started seeing people, you know, on Mixergy especially, talking about just making your emails short, I started looking at them and being a little bit more critical. I’d say, “You know, I don’t need this. This is fluff.” and just shorten it like that. So, anyways, that just makes it so that it’s easier for them to read your emails, right? They’re busy, they get a lot of emails. So that’s number one. The second thing I do a lot of is just giving feedback. So even when they’re not asking for feedback. Like I’ll sign up to a [??] PR plan and then I’ll send out an email to Noah like, “Hey this is confusing. What are you talking about here? I don’t understand what you mean here. So when I look at this I probably will click over in this area.” And, you know, so I’ll just give-, I’ll try to give helpful feedback. I mean, that’s mainly what I do a lot of. And I don’t ask for-, you know, my first email isn’t like, “Hey I have this problem and can you help me?” or anything like that. My first email is usually about telling him-, telling whoever it is that I’m emailing, that I enjoyed something that they’ve done, right? Like Noah and Hiten and Rob, they all put out really great stuff. So usually, you know, I start off doing that and then I’ll go on to, like, giving feedback about stuff that they might find helpful. Then, eventually, maybe I might get around to asking about, you know, some sort of a problem or question that I might have. Ruben: Yeah, you know, there’s another thing too that I should really mention that’s important. That a lot of the people that ask for help or ask for advice don’t do anything about it, right? So, like, Hiten Shah, Noah Kagan, Rob, they all get people asking them for advice and tips all the time, right? And how many, if you ask them, how many of the people that they give advice to actually implement the stuff that they talk about? And you probably get this too, right? Not many. So it’s super important to actually email them back and, not just thank them, but show them, “Hey, this is what I’ve done.”, right? That helps. That basically shows that they’re not wasting their time. That’s the sort of satisfaction that, if you’re critical of people who sell stuff, if you’re critical of Ruben for maybe getting rid of the free version, you just don’t feel it. And I think you should feel it. We do a lot of courses. 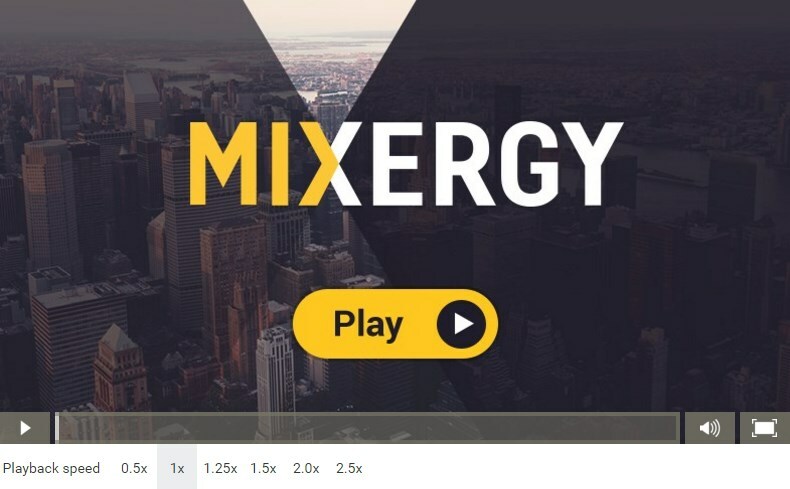 People who aren’t familiar with Mixergy.com/premium, you should be. We do a lot of courses on how to sell online, how to create those landing pages. Ruben took one of the courses on copyrighting with Dane Maxwell that’s really good. You mentioned Heaton Shaw [SP]. Hiten Shah is one of the people who helped him launch his business. Cindy Alvarez, before they launched, went out and did customer surveys. Not surveys, they said ‘we want to talk to customers and feel their pain points and then build products based on that.’ She got on and she taught a course on Mixergy about how to do that. How to have those conversations with potential customers and bring out those issues that they’re so in pain over, that they’re willing to sign up for and pay for a solution. You’ve got to take those courses. Ruben: That is a great course. Andrew: You took that one with Cindy? Andrew: He is really good. Ruben: It was really amazing. That was great stuff. There’s a lot of things in there, because I’m at the point right now to where I’m sort of reading the same information over and over, and I’m seeing it. So I’m trying to find new information, right? And you’re putting that out there. Andrew: Does it help that he showed his screen? Ruben: I, actually, didn’t view the video for his. Andrew: You listened to the mp3? Ruben: Yeah, I listened to the mp3. And even just that was like, wow, is really great stuff. Andrew: That’s good for us to know. Yeah, we have a ton of people now who are working here. I mean, not a ton of people. But we have people who are working to shape these courses, to make sure that we don’t cover topics that have been covered before, and that we do make it useful. That we organize it in a way that is actionable and that is entertaining and exciting, and I appreciate that. I’m glad to hear that it’s working for you. If you’re a premium member, just go to Mixergy.com/premium. You’ll see it all right there for you, just click and you’ll try the Derek Halpern course. I think it’s called “Advanced Lead Generation”. I think Cindy Alvarez’s course is fantastic, and you heard Ruben say that he got a lot of value out of it. If you’re not a premium member, go to Mixergy.com/premium, sign up, and start taking money out of your pocket and putting it into my bank account every month. No, it’s actually really low priced. It’s not about that, it’s about the pride that comes from putting something out there that people value that much. And, of course, all the money goes right back in to pay more people to do better courses. Ruben, I’ve got to send people over to your sites so that they could see it. I know that a lot of you guys aren’t into design, but if you check out Bidsketch.com, and see the way that he works through his sales funnel, you’re going to screw up with his metrics for a day or two while you all go over to his site and check it out. I think you’ll learn something along the way about how he’s positioning himself, how he’s explaining what the product is, where the offer button, why it’s not buried at the bottom of the page, but it’s up at the top, how much text he puts to get you to click that offer button. Ruben: I’m redoing my design right now, and there are a few things that I’m not doing very well on my current design, so I’m improving that. I did A-B test [SP] my video. It’s lower on the page. I put it up higher, and I thought that would do so much better, it did the same. No difference whatsoever. Andrew: What do you use for A-B testing? Ruben: Yeah. It’s great. It just makes it so easy to A-B test. Right now, I’m actually A-B testing three plans – pricing plans – and two. Now, you saw the three plans, but I actually have two plans. Andrew: You want to see if you can increase orders by reducing the number of options. Ruben: Well, I have three plans. I’ve always had two plans. Just a few weeks ago, I added a third plan to serve as an anchor. Because maybe that will encourage more people to sign up for the premium plan. Andrew: I see, actually. That’s another thing that Dane Maxwell keeps talking about and, so what you’re saying is, and I’m going to try this on my site soon too, is that you have the business plan which is $50/month, not necessarily to sell more business plans at $50/month, but to see if it anchors people with a higher price and makes the $19 that you charge per month premium plan seem lower and more compelling. Ruben: Right. And what you’ll notice, if you look at the premium plan – the business plan is only giving you more storage – the premium plan is giving you five users. I looked at my data, and I found out that most of the accounts have up to three users. So, most people will go for the premium plan, or should. Going for the business plan isn’t going to give them that much more. So, it’s really about, just sort of psychologically offering something that tells them, hey, this premium plan is a pretty good value. Andrew: I love hearing stuff like that. So you’re basically saying, it’s not that much more compelling. It’s not necessarily what people are asking for, it’s just a higher price and you’re doing it to anchor. Ruben: Right, and if you click on the premium plan, it will tell you that you’re going to get unlimited users. So it’s not even going to limit you to five users. Andrew: I see. I see. So it really is just a marketing experiment. Andrew: I love hearing stuff like that. I love that you’re willing to share this. Thank you for doing this. To the person who just signed up, I’m not sure if I can mention your name, but I’m really grateful to you and to everyone else who signed up for Mixergy Premium. And, if at the end of this interview, you’re in front of your computer, go directly to Bidsketch.com. If not, remember to go back and check out the site. Ruben Gamez, thanks for doing the interview. Ruben: Well, thanks. Thanks for having me. Andrew: Thank you all for watching. Bye. Aytm – Imagine you have an idea for a new product; maybe it’s a mobile app for students, but you need feedback. You could ask your friends, but what if few of them are still students? What do you do? Aytm, “ask your target market,” is where you go to have surveys filled out by potential users. They’ll find the right people to take your survey for you and give you a beautiful, actionable report to show to potential investors or potential partners. Assistly – Do you want to know a customer service secret that will actually wow your customers? Check out Assistly, where not only can your team respond to email in an organized way but it can field issues on Twitter, Facebook, and other platforms. It even comes with a built-in help center.